Fall is here, and so is our next First Friday. Once a year, PG Veep, Dan Hakes hosts the event, and this year is no exception. Unlike other FF’s, beer is not for sale. It’s a BYOB night, and anything goes. Some snacks will be served, but more are always welcome. Dan always has great homebrew on in the Taproom, and the darts will be flying in the lushly planted back yard. If it’s cool, the fire will be lit, as will those who show up to imbibe the Nectar of the Mash Gods. Event commences at 7pm, ends when the last person leaves. Dan’s address is 2379 W. 21st. Street, L.A. 90051. Take the 10 to Arlington, go North to Washington. Right on Wash. 1 block to Cimmaron and make a right to 21 St.
Find a spot and walk less than a block to Dan’s. Mike Sautter asks this month’s question: Is it better to force carbonate a keg or add priming sugar? This is one of those cases where you can go either way. However, there are a couple of factors to consider before you make your decision. You might even want to split the difference. http://pacificgravity.com/wp-content/uploads/2015/01/pg_logo.png 0 0 Tad Johnston http://pacificgravity.com/wp-content/uploads/2015/01/pg_logo.png Tad Johnston2009-09-22 01:15:512009-09-22 01:15:51Mike Sautter asks this month's question: Is it better to force carbonate a keg or add priming sugar? The September club meeting will be on Thursday, September 17th from 7:30 p.m. to 10:30 p.m. at Culver City Home Brewing Supply. We’ll be featuring Belgian and French Ales as our style of the month and as always; we’ll have some homebrewed examples on tap to complement our monthly commercial style tasting (volunteer kegs are welcome). Yours truly will be guiding us on a tour of Belgian and French Ales for our style tasting. Please remember to bring some of your homebrew to share with us. While you’re at it, bring some of your friends and maybe some new members. As always we’ll be giving away lots of club swag and beer/brewing related goodies (donations welcome) in our monthly raffle. Hey Graviteers, it’s Chili Cookoff time again!! Get that meat, beans, onions, garlic and lots of chilis mixed up in your own unique way and see if you can be crowned this year’s King or Queen of Chili. Can you out-chili the Chili Master? For the last two years Ian Fraser has been the holder of the title, Chili Master, and fully expects to keep the crown. This is your chance to prove that the Master’s chili is not all powerful, by breaking out your favorite recipe and defeating him in a winner take all competition. In the past we have had as many as 10 chili entries. Two prizes are awarded, one for Best Chili, and the other for “Most Unique”. Veggie, Sea Food, and All Meat have been represented in past competitions. The Club supplies all sides and additions for the chili, as well as snacks and dessert. Attendees are encouraged to bring homebrew or commercial beer to the event. What is a Club Brew? This year the event will take place at the home of Eric Moreau in El Segundo. Eric will be using his brew system to brew 10 gallons for the club. For those who are new to PG, a Club Brew is a 1 batch brew, belonging to the club. The host uses his equipment and skill, and the club gets the beer. Of course, there is the opportunity to help the chief brewer, learn to use the equipment, drink beer, and eat. Pacific Brewer’s Cup Entries Due Now!! Entries for Pacific Brewers Cup will be due at the shop on September 4th. This year the competition is hosted by the Strand Brewers’ Club. Judging will be held on September 19, at the Courtyard Los Angeles LAX/El Segundo. The hotel is located at 2000 East Mariposa Avenue in El Segundo, about 1 mile south of LAX. We’ll want to have a good turnout for this one, both from an entry standpoint and from a judging/stewarding standpoint. More details of the competition can be found at: http://www.strandbrewers.org/pbc/index.htm. The AHA has announced the rest of the Club-only competitions for 2009 and beyond, so you can plan these well in advance. The next competition is for European Amber Lagers, BJCP category 3. We will judge these at the September Club meeting on September 17th. Please bring 3 bottles for each entry, and please fill out the entry forms which you can download from the AHA website at: http://www.beertown.org/homebrewing/pdf/entry_recipe.pdf. The club picks up the entry fees and shipping for this one, so it is free to you. 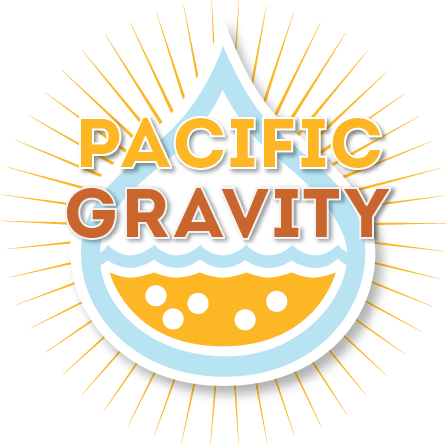 http://pacificgravity.com/wp-content/uploads/2015/01/pg_logo.png 0 0 Tad Johnston http://pacificgravity.com/wp-content/uploads/2015/01/pg_logo.png Tad Johnston2009-08-27 00:08:192009-08-27 00:08:19Pacific Brewer's Cup Entries Due Now!! OK, its not September and its not Friday, but we are doing our September First Friday this Saturday, August 29th at 5 pm. We will be converging on The Daily Pint in Santa Monica this month. The Daily Pint is a friendly neighborhood bar that has an interesting selection of beers on tap and in bottles. They’ve created a bit of a buzz with their cask ales and are rotating a lot of unique beers thru their beer engines. After a month off for the summer party, we’re back to our regularly scheduled monthly club meetings. The August club meeting will be this Thursday, August 20th from 7:30 p.m. to 10:30 p.m. at Culver City Home Brewing Supply. Specialty Beverages (i.e. Meads, Ciders, Specialty Beers) will be our style of the month and as always we’ll have some homebrewed beers on tap to complement our monthly commercial style tasting (volunteer kegs welcome). Nathalie Balandran will be guiding us on a tour of Specialty Beverages for our style tasting and is certain to provide some interesting examples. Special guest, Dallas Byerley of New Belgium Brewing will be joining us to sample their new seasonal release, Hoptober. Please remember to bring some of your homebrew to share with us. While you’re at it, bring some of your friends and maybe some new members. As always we’ll be giving away lots of club swag and beer/brewing related goodies in our monthly raffle. Your donations to the raffle are always welcome and needed. Mead Day a Sweet Success! Since mead is so easy to brew, we had a leisurely start time of 12:00 noon. In no time at all we had 5 batches completed, totaling 8 gallons. I made an experimental batch of agave nectar mead using only agave (is that still a mead?). We’ll have to wait until next year to try it. There was plenty of mead to sample and sample we did. Thanks to all who brought samples of their mead, we had quite a few examples. We sampled the mead that was made last year on Mead Day, and we tasted the mead I added apricots from Ian Fraser’s backyard, as well as the batch I added black walnut to. We also made a special drink of the afternoon, meadjitos! I blended a mix of fresh squeezed lime juice with mint and honey and we served it mixed with mead, crushed ice and sparkling water. Perfect for a sunny afternoon of meadmaking. Michael Steinburg made us some quesadillas on the BBQ, and several people brought munchies to share. Of course we weren’t limited to mead and the homebrew flowed freely. After the mead was made we had a fun time in the Carriage House Tap Room, playing darts and enjoying mead and homebrew. I’m already looking forward to next year’s Mead Day! http://pacificgravity.com/wp-content/uploads/2015/01/pg_logo.png 0 0 Brian Holter http://pacificgravity.com/wp-content/uploads/2015/01/pg_logo.png Brian Holter2009-08-11 11:23:122009-08-11 11:23:12Mead Day a Sweet Success! Ask the Brewmaster: My Homebrew Smells Like Rotten Eggs and Corn! This Month’s Question: My beer sometimes has a corn-like sulfury smell. What can I do about it? Answer: A corn-like smell is usually due to a specific chemical compound called dimethylsulfide, or DMS for short. DMS forms in the malting process and in the boiling process while brewing any beer. It is the result of a thermal degradation of sulfur-containing amino acid in the grain called s-methylmethionine. This amino acid is present in all malts. Hence, all beers have some amount of DMS. DMS is a highly volatile compound. This makes it an easily detectable compound in aroma, even in trace quantities. Fortunately, the volatility makes it fairly easy to scrub out of your beer. The amount of DMS in your finished beer depends on a number of factors. First of all is the amount of s-methylmethionine in the grain. High protein malts such as six-row have higher amounts, hence more DMS. Some of the DMS is driven off by heat in the kilning process. Hence, the paler malts kilned at lower temperature have more. These two factors combined contribute to the fact that pale lagers (made from pale six-row malt), often have high levels of DMS. Not surprisingly, corn also contains a lot of s-methylmethionine. These characteristics are a hallmark of lager beers. A lager without DMS tastes rather bland. http://pacificgravity.com/wp-content/uploads/2015/01/pg_logo.png 0 0 Tad Johnston http://pacificgravity.com/wp-content/uploads/2015/01/pg_logo.png Tad Johnston2009-08-10 19:07:292009-08-10 19:07:29Ask the Brewmaster: My Homebrew Smells Like Rotten Eggs and Corn!